When you need an oral surgery, you’ve already got enough going on. You don’t want to have to worry about whether your chosen professional is the right one for the job. You need an experienced, proven oral surgeon who you can count on to do the job right the first time. Learn about the oral surgeon Glenpool, OK trusts: Dr. Parnam Mohanna at Complete Cosmetic Care Dentistry. 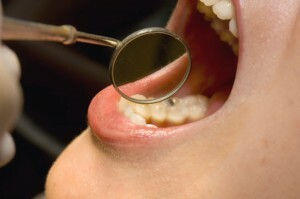 All dentists undergo the same basic education and initial training to be qualified to work on teeth. We like to say that sets a good dentist apart from an excellent one is a combination of their experience, and the continuing education they undergo throughout their careers. Dr. Mohanna, your Glenpool dentist, has both. Keep reading to learn more. Dr. Mohanna has extensive training and experience in the field of oral surgery. He’s a Dawson Dentist, meaning he’s received many hours of continuing education with opportunities to learn how to care for patients at the highest ethical and professional level. Not only that, but Dr. Mohanna is also a Fellow with the Misch Implant Institute and a Diplomat and Fellow with the International Congress of Oral Implantologists. When it comes to finding a Glenpool oral surgeon who’s proven they know what they’re doing time and time again, Dr. Mohanna is it. Anyone who’s had dental implants knows they’re an excellent option in tooth replacement. But they also know the whole treatment is a long process, taking six months or longer from start to finish. Other dentists who aren’t qualified to perform oral surgery will have you running all over town to have your dental implants placed. With Dr. Mohanna, though, each step of the process can be completed under one roof. That’s because he’s highly qualified to perform every part of your dental implant treatment, from initial surgical implantation to the final placement of your replacement teeth. That’s quality and convenience, all in the same place — at Complete Cosmetic Care Dentistry. If you’re interested in having your oral surgery completed with the oral surgeon Glenpool trusts, please don’t wait — let us know you’d like to find out more right now. We’ll schedule a consultation with Dr. Mohanna at a time that’s convenient for you. Contact us today! You can also book online. We can’t wait to hear from you!